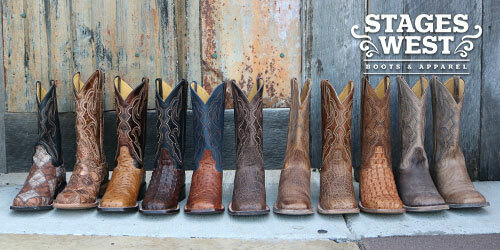 Stages West is a family owned and operated Western retailer located on the Parkway in Pigeon Forge, TN. Since opening in 1975, Stages West has become one of the nation’s leading Western Wear retailers. They carry all major brands including Ariat, Corral, Lucchese, Durango and Old Gringo alongside unique gems you won’t find anywhere else.